Discussion in 'Classic Menswear' started by Fandegrue, Jul 25, 2018. 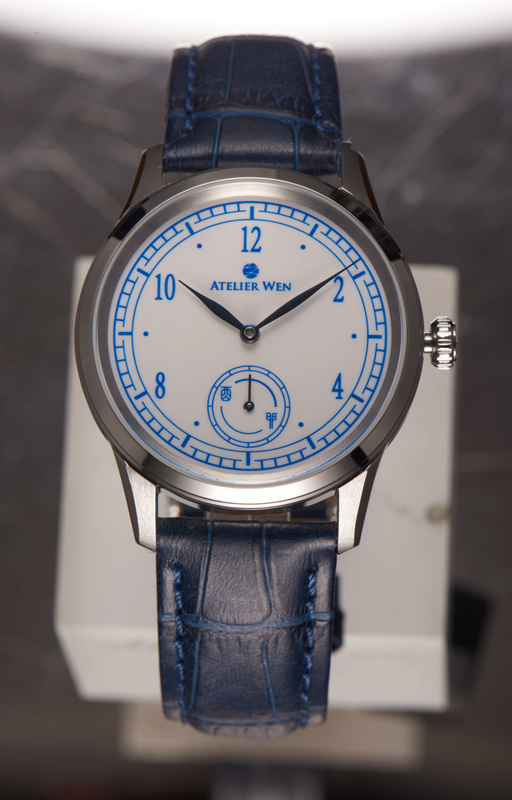 My name is Robin, and I am proud, today, to introduce my new brand: Atelier Wen. Our identity is embodied in our name. Atelier Wen, the “culture workshop”, combines the French word for workshop (Atelier) and the Chinese word for culture (Wen 文). Atelier Wen was born from the collaboration of French and Chinese designers with the common vision of redefining modern Chinese chic. We begin this journey in the world of watches, driven by our passion for horology and desire to challenge preconceptions. Indeed, China's horological tradition goes back over 1000 years and Chinese watchmakers today actually supply many so-called "Swiss" or Western brands. We don't believe in branding hat tricks here and that's why we set out to create items that truly celebrate Chinese watchmaking. Our pieces make use of the best expertise and materials available, traditional and modern, all of which proudly originate from the Middle Kingdom. The items we design go beyond mere utilitarianism and appearances as each one is infused with rich culture and a story worth telling. The question of what constitutes modern Chinese design is an open-ended one and each of our pieces provides a different perspective on it. Our first creations tell a story of Chinese art and tradition through richly-decorated porcelain dials. For the structure, we drew inspiration from French watches of the 1950s - personal favourites of our design team. As the product of varied traditions, the resulting pieces are thus a daring blend of novelty and tried-and-tested elegance. They should be available on Kickstarter early October, for the modest price of 450€. I will keep on updating this opening post with the latest progress of the project. In the following ones, I will post more about the whole entrepreneurial journey, the philosophical choices behind the brand, the design approach... etc. Thank you! Any questions, please do not hesitate. Today, I will give you some background regarding the brand, our two models and the whole philosophy behind them. In a next post, I will talk more about manufacturing and how we dealt with that process. Enjoy the read! Any thoughts, remarks, feedbacks... I would be happy to hear. I would genuinely be so especially because, thus far, I have only got feedbacks from watch forums users, and never from a more fashion-conscious crowd. Hence I'd be happy to know your "view" and take on my little brand Thank you so much. So, who is behind Atelier Wen? In fact, it’s not only “I”, but “We”. Who are we? 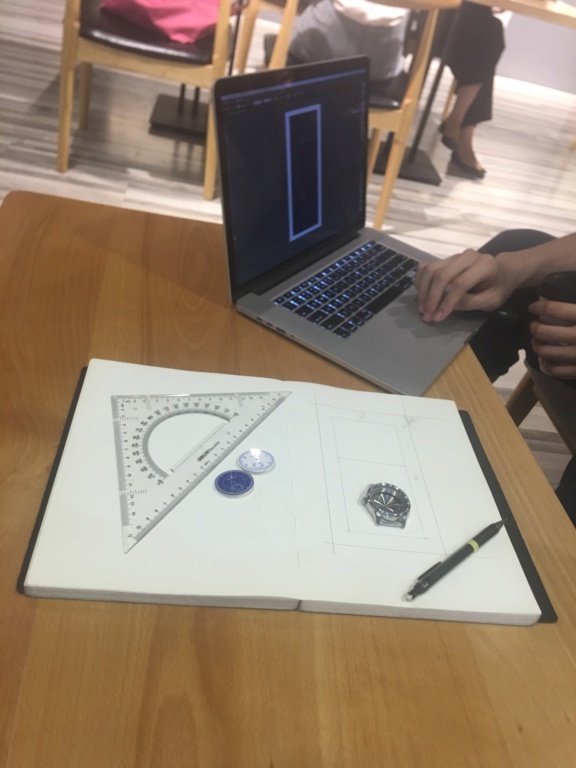 We are two friends, both passionate about watches, China and entrepreneurship. We have very different and distinct competences, a unique concept, and a lot of energy! Two professional designers are working with us, and we have spent the last 10 months or so developing our designs, crafting our visual identity and refining our brand concept. I (Robin) have been passionate about watches since the age of 14, and have had the opportunity to work at the French Chamber of Watchmaking in Shanghai and at Christie’s in London. In March 2016, I was appointed to join the China Horologe Association as “Execution Expert”. The CHA is the Chinese national-level government organisation that regulates both markets and local watch production. I am crazy about Chinese horology, and have had the opportunity to reinforce my involvement in the industry when I was living in Beijing. I now reside in London, and currently study at London Business School. With his experiences in start-ups and his perfect mastery of Mandarin, Wilfried is our field guy who coordinates both design and manufacturing from Beijing. We met during our undergrad at Warwick Business School, and both exchanged at Peking University. Wilfried then headed back to Beijing fall-2017 to enrol in the Schwarzman Scholars Programme, at Tsinghua University. Strong from experiences at McKinsey and in two Chinese start-ups, he guarantees us solid implementation! 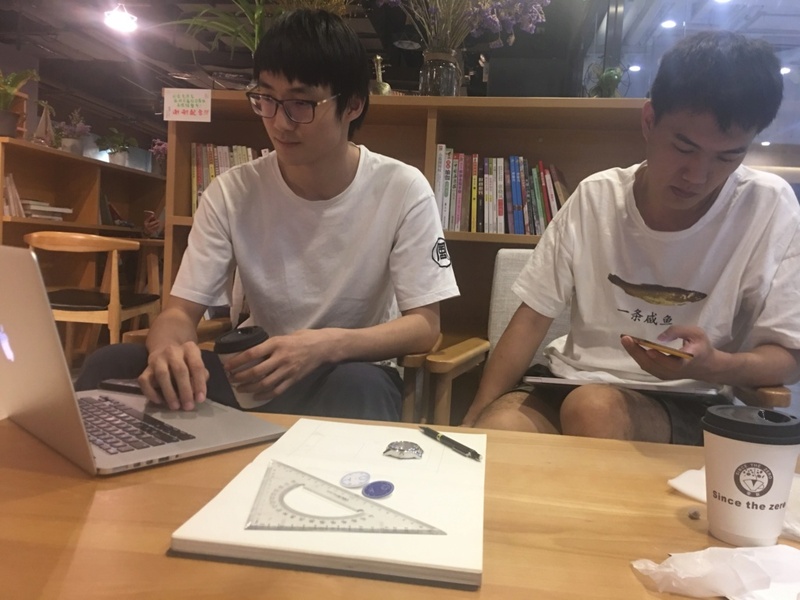 Further, we have been working with two brilliant Chinese designers, Li Mingliang and Liu Yuguan, from the Beijing Institute of Fashion Technology. They are truly at the core of the team and have been left right and centre not only on design execution, but also on ideation - huge shout out to those guys! All of us, in Beijing! Our ambition is to create a brand re-exploring traditional Chinese design and craftsmanship through a novel and modern outlook, which both aficionado and layman can appreciate. This is, in a way, a reflection of our personalities – two French guys passionate about China, with a keen eye for modern fashion and art. On the longer term, our goal is to contribute to the improvement of Chinese products’ perception in the West, and so we are putting the emphasis, first and foremost, on quality. Perceptions can take a while to change (and I will happily admit that our goal is pretty far-reaching) but making very high-quality watches is something that we can achieve today! We wanted our brand name to reflect the brand’s dual identity – enter Atelier Wen. 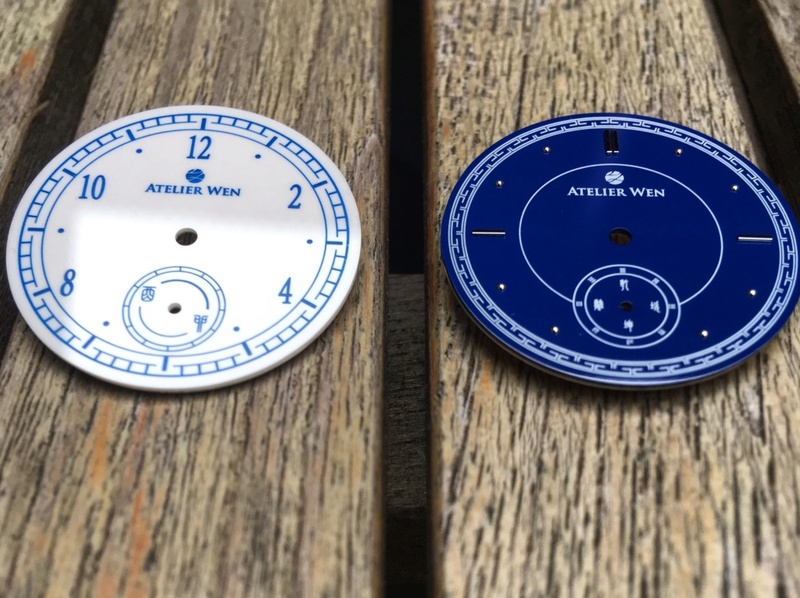 “Atelier” is French for “workshop” and “Wen” corresponds to the Chinese character for “culture”: 文. Indeed, Wilfried and I both have a strong passion for China and its culture and thus we wanted this to be brand for exploring China’s rich heritage and displaying it in a modern and novel form that everyone can enjoy. From there, the name formed organically into our current brand: Atelier Wen. As an analogy, we want to follow in the footsteps of the Qipao - this iconic Chinese dress born at the intersection of Chinese tradition and Western design - but across all areas of fashion. Professor Xiangyang Bian, a scholar on Qipao, claims that it is a hybrid of traditional Chinese costumes and western costumes such as the waistcoat and one-piece dress, and which was born during the Republican period of China, when people were open to the western cultures. In the end, we found what we needed in the myth of Kunpeng (鲲鹏). This myth first appeared in Zhangzhou’s Zhuangzi (4th Century BC), which along with the Daodejing is one of the two founding pillars of Daoism. It consists of a collection of fables, parables, allegories and anecdotes. Kunpeng 鲲鹏 is one of these. Indeed, it is said that Kunpeng (鲲鹏) was a colossal bird with the ability to turn into a fish. The name of the fish was Kun鲲 (the radical of this character is Yu 鱼, for fish), while the name of the bird was Peng 鹏(similarly, the radical of this character is Niao 鸟, for bird), hence Kunpeng 鲲鹏. But more than by the colourful story, we were attracted by the symbolism of the myth. Kunpeng 鲲鹏 is used as an allegory of the concept of Yin Yang 阴阳 as Kun is said to come from the cold waters of the North, symbol of Yin 阴, whereas Peng 鹏 resides in the skies of the South, symbol of Yang 阳. Indeed, what Zhangzhou suggests is that dichotomies between good and evil, life and death, big and small, human and natural are in fact just the result of our perceptions rather than of fundamental difference. Rather than being separate entities, Kun 鲲 and Peng 鹏 are just two elements of one greater whole. Similarly, our goal with Atelier Wen is to break down these false perceptions and combine the experiences of East and West to form a greater whole. We therefore stylised the character “Wen” 文 (those of you with a keen eye for calligraphy will be able to make it out!) so that its top part would be reminiscent of a bird and its lower part resemble a fish. We then reworked the shape of the outline and overall style to look like a traditional Chinese seal, albeit with a decisively modern feel and clean design. Encapsulated within this logo is therefore not only the defining character of our brand, Wen “文”, but also the brand’s mission to re-explore Chinese designs through diverse lenses told through the age-old myth of Kunpeng. The result is below – hope you like it! Now for the pièce de résistance: our first designs! Our first series is made up of two models. In this model, we have given centre stage to Chinese tradition and artistic elements with a structure that is reminiscent of Swiss/French watches from the 1940s/1950s. As such, you will notice the presence of hour « dots » and baton markers as indexes, which were very commonplace at the time. Watches from that time also often incorporated a “railway” bordering the extremities of the dial, and that’s something we wanted to re-explore through the lenses of our brand. We did this by using a style of patterns called Huiwen (回纹). Though they were originally used as an omen of wealth and good fortune, with time, their purpose became mainly decorative. 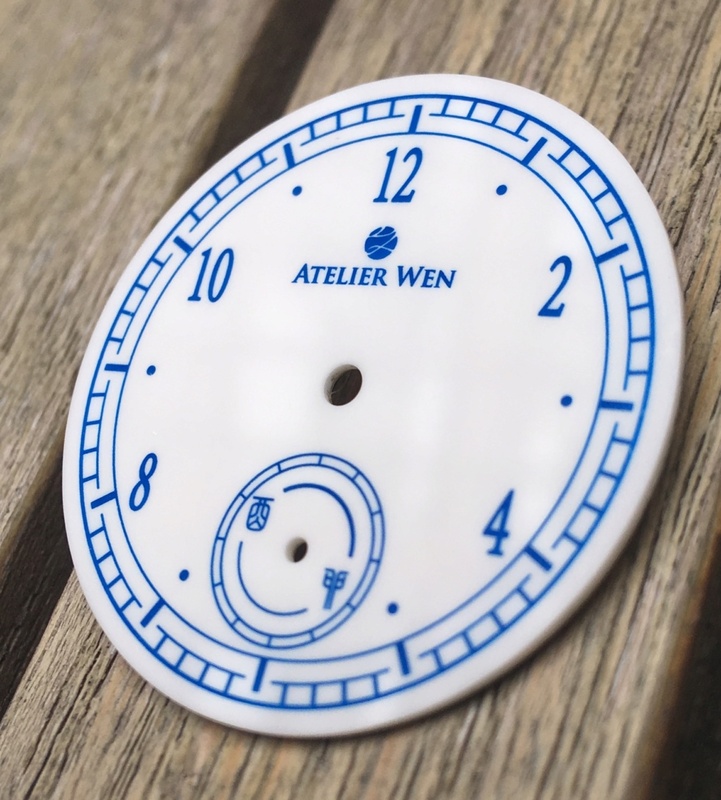 As a quick anecdote, the actual pattern that we ended up using on the dial is the adaptation of a particularly elegant one that Wilfried spotted on a mother-of-pearl box in the Chinese art section of National Seoul Museum! For the hands, we went for a “leaf” design – simple, aesthetic, elegant. But the most interesting aspect of the dial is surely the small seconds subdial at 6 o’clock. This subdial is made up of different Chinese symbols and characters. These actually come from an old concept named Bagua (八卦) or « Eight Trigrams » which offers a structure, a canvas through which to interpret reality and has applications in numerous fields, ranging from Daoism to medicine and astronomy. If interested, you can find more details here! https://en.wikipedia.org/wiki/Bagua. In our context, each symbol represents a direction (North, North-East…) and each character a cardinal point. These directions reflect the sun’s position in the sky and are thus also meant as indicators of the passage of time. 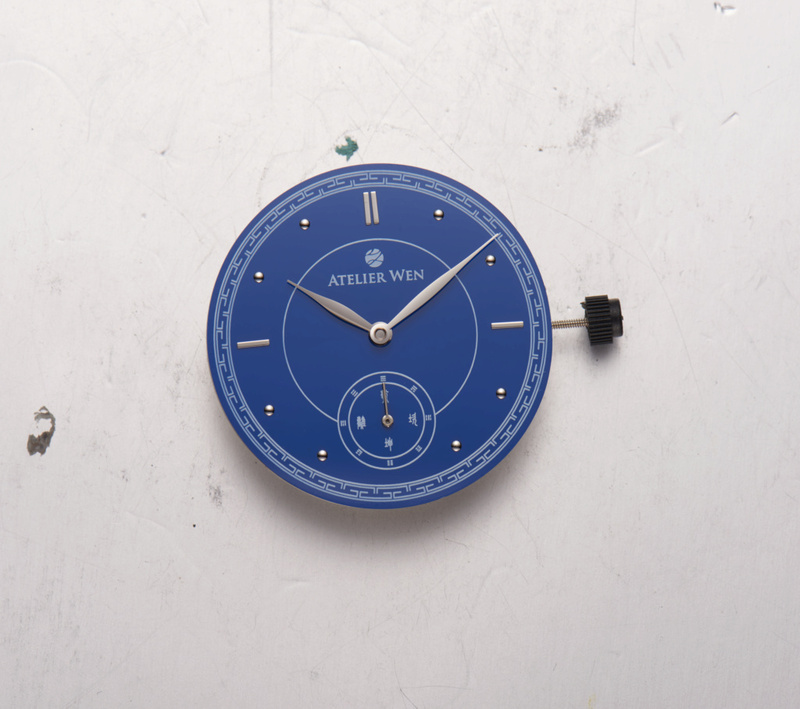 This subdial therefore embodies a traditional representation of time that is linked to the sun’s movements. It rises in the East, reaches its zenith up in the sky and eventually fades away towards the West, disappearing into the ground. You will also notice that the cardinal points are inverted as we use here an older version of Bagua named Bagua “Fuxi” where cardinal points are thus represented. This subdial therefore displays an interesting aspect of traditional Chinese culture and thinking. Its value is for now more aesthetic than practical (we cannot yet do like Blancpain with its Chinese Calendar, though we’d like to get there! ), but it serves as an acknowledgement of an interesting and quite fundamental cultural concept (it is actually used throughout the region in such places as Korea for example). All of the characters have been stylized by our designers and are also therefore, importantly, pretty nice to look at! The idea behind this model was to give centre stage to a fine Chinese craft, appreciated worldwide and practiced in China for over a thousand years – you’ve guessed it, porcelains. Here, we’ve used a blue and white colour scheme following the style of the most famous works of Chinese porcelain, the so-called Qinghua ci 青花瓷. From a structural perspective, we looked at « chronomètre » dials for inspiration – also quite popular and widespread in the 1940s/1950s. The result is a model with a strong personality – harking back to a millenary art and combining a solid structure with subtle aesthetics. On this latter point, you will find again here a subdial using Chinese patterns, but this time, with a gripping asymmetry. What you can see are the traditional versions of the characters You酉 (top left) and Mao 卯 (bottom right), which represent the hours between 5PM and 7PM and between 5AM and 7AM respectively. These are used in an ancient time-measurement system called the “12 Earthly Branches” within which each branch represents a two-hour segment. Each character also corresponds to a different zodiac animal, a direction/cardinal point, a season and a month. You may find more info here: https://en.wikipedia.org/wiki/Earthly_Branches In addition, it looks pretty good! We are again using leaf hands, and this time they are heat blued to better fit the overall style. -9.7mm thickness (excluding the domed sapphire crystal). Most of the case is polished, except the top of the lugs, which is brushed. 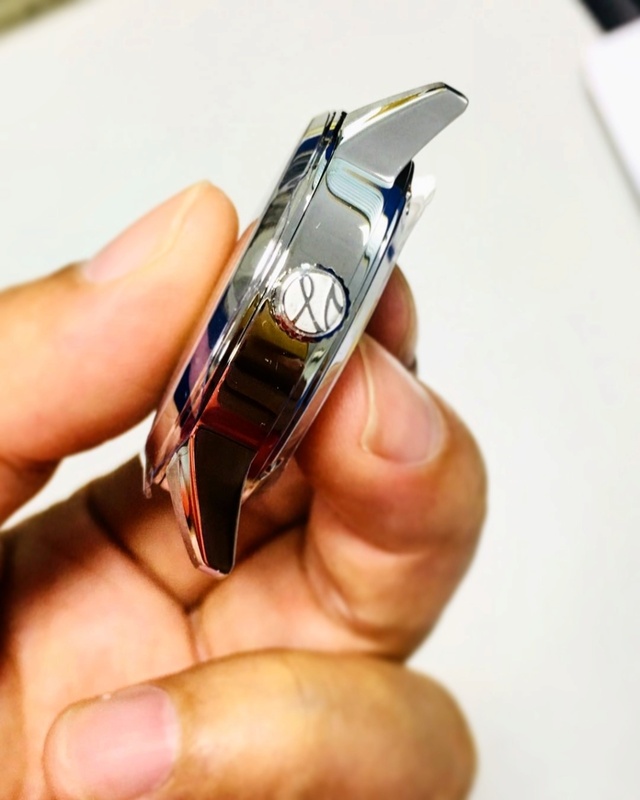 We are using sapphire crystal, and 5-layer-anti-reflective coating is applied on the inner side. The movement powering our watches comes from the Dandong Watch Factory, which is located in the North-East of the country. 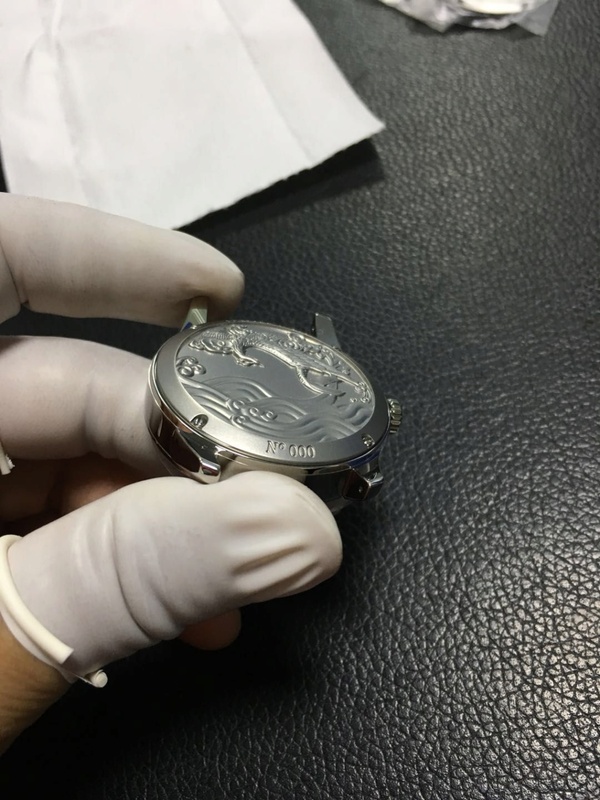 It is one of the largest players in the Chinese watch industry (along with Seagull, Shanghai and Hangzhou), and, after having spent years observing from the inside how this industry works, I was able to assess that the products coming out of the Dandong Watch Factory are quite likely the most qualitative ones in the Middle Kingdom. In fact, lately a number of Seagull managers who were tired and fed up of the slow nature of decision making and bureaucracy at the company “defected” to Dandong in order to implement the things that they could not achieve at Seagull. Lots of new movements have since been created and their positioning is more premium than the one of the three other giants. The calibre that we are using is the Peacock SL3006, a derivate of the Peacock SL3000, which is a clone of the ETA 2824-2. Our movement features an additional platter so as to incorporate a seconds hand at 6 o’clock. The movement has 32 jewels and beats at 28,800BPH. The top parts of the movements have a perlage finish, and côtes de Genève are applied on the rotor. 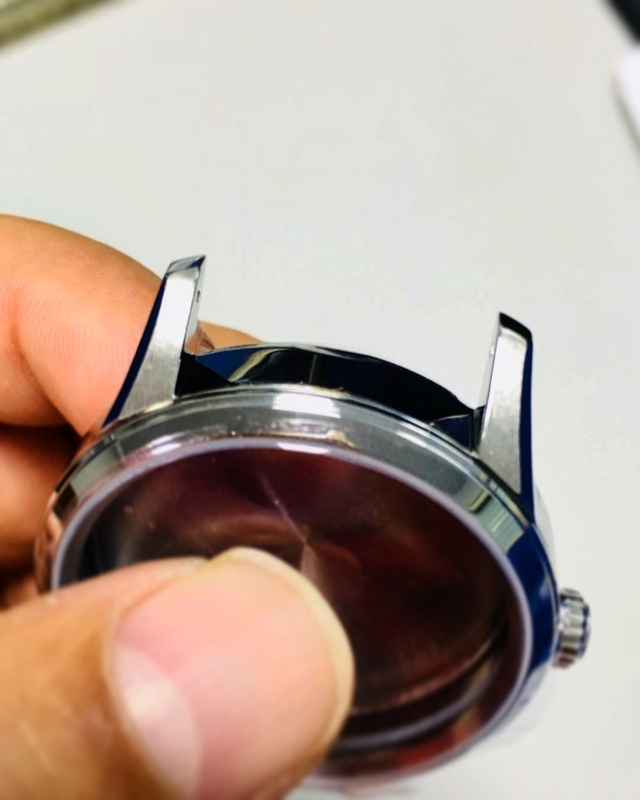 It is heavily tested before it leaves the Dandong Watch Factory, and, once the watch is fully assembled (in Shenzhen), it is regulated and adjusted to five positions. We will guarantee a +/-10s/day variation, but in practice, the observed accuracy should be closer to half of that figure. 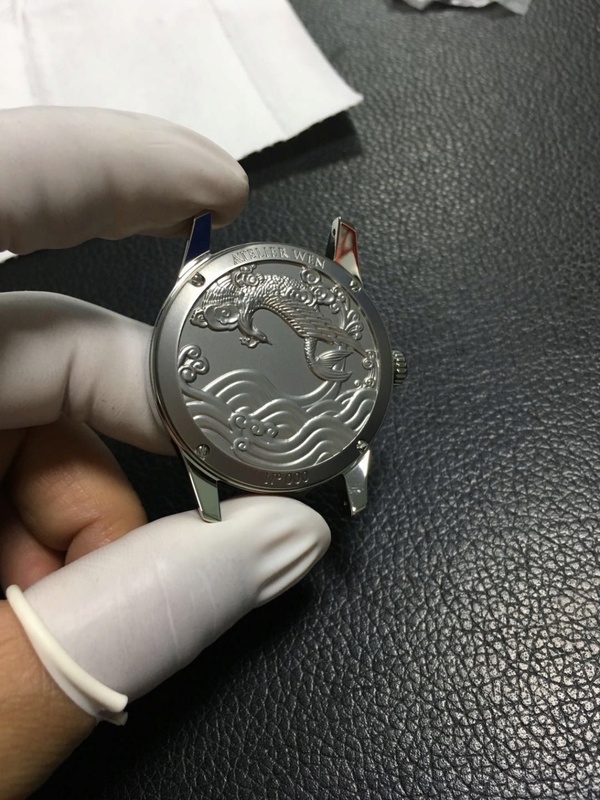 The caseback will feature high relief embossing. While the movement is quite pretty, its appearance is nothing out of the ordinary (it looks like any ETA 282X or clone) and thus we felt that the added-value stemming from an exhibition caseback would not be that be great. That is why we decided to go with a solid caseback. The strap is made of high quality, premium calf leather (top grade and vegetable-tanned) and has large scale crocodile pattern. We use a custom buckle, which we designed ourselves. The dials are made of (genuine) porcelain. As of now, the final prototypes are being made and should be ready fairly soon (see picture at the top of the thread). Then, we should launch on Kickstarter late September/early October. Price should be around $500, which is affordable for this level of offering. We’re a new brand and realise we need first and foremost need to earn customers’ trust so hopefully this initial pricing will be a step towards that. Welcome! Handsome watches. Best of luck in your new endeavor. Thank you! I hope you will like the final products. We're having some slight issues with the crown, and thus facing some short delays. Hopefully the final prototypes will be on our wrist within the next three weeks. Hello Robin, welcome to the forum. Beautiful and original dials, and nice project, but given your history, knowledge, and collection, why start with an entry level watch? Is it too risky to go straight for a ballsy movement for your first collaboration with Dandong/Liaoning/Peacock? I'd love to know more about your reasoning for picking the crowded 450 EUR no-complications ETA market as a first step. Hello am55, thank you for your message and kind words. As for going to the 450€ market as a first step, there are different reasons behind that. The first one has to do with our brand identity: openly Chinese. While there is a shift occurring in Europe and North America regarding perceptions towards made in China products (as Shanghai Tang and Shang Xia may exemplify it), I still feel that the transition is not “complete” yet, and that thus it would be very hard to sell an expensive, openly Chinese product to Western customers. One of our targeted segments is the “watch aficionados” one, and you may, at first, feel that they would appreciate a product in an “objective” way, i.e. for its characteristics and specifications. This is what I thought, too. Recently, Tan Zehua, one of China’s greatest independent watchmakers, a candidate to join the AHCI, and the inventor of his very own kind of escapement (di-axial), submitted one of his creations for the GPHG. 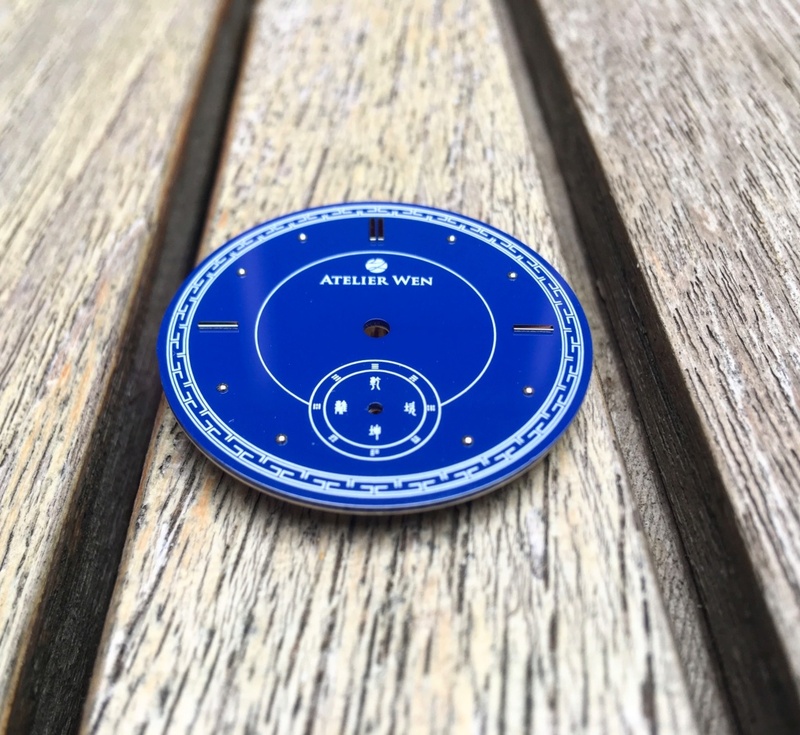 I made a small thread about it on a leading French watch forum, and, when I disclosed that it was selling for slightly more than 30,000 CHF, people started being quite negative. So yes, there is still a strong emotional bias linked with Chinese products. The second reason has to do with the fact that we are complete newcomers to the world of watch manufacturing: we have no track record whatsoever. People don’t know us, and they have no reason to trust us. We therefore cannot, out of the blue, create a debut watch that sells for what Omega charges. I mean, who are we? To most people, to our future customers, thus far, nobodies. We need to gain that trust and good reputation, and bringing a watch that is, quite clearly, fairly under-priced, is a way to do so. The last reason has to be more of a feasibility issue. The two us are only 23 years old, and we only finished our studies two weeks ago. As you may expect, our budget to create the brand and develop our first two models was tiny to say the least. To create “fun” pieces, custom complications, heavily-modified movements… you need quite a substantial capital. What’s more, because we had no manufacturing experience, bringing a more complex piece may not had been feasible for us. Our first models already incorporate some slightly “exotic” specifications (porcelain dial, heat-blued hands, lot of depth in the caseback, hand-applied markers), and making some of these actually happen was sometimes causing many headaches. Last but not least, the sub-1000€ watch market is growing, and at 450€, our watches are not too cheap to be considered premium, and still not too expensive not to be bought on a whim. The good thing with all this is that this is just the beginning. 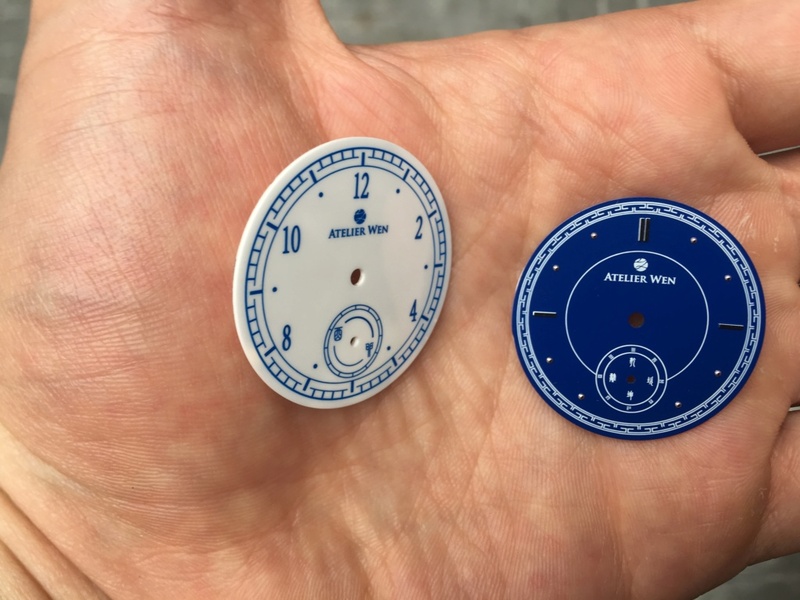 If we can sell a few, get some more budget for product development… Oh, we could create some really, really unique pieces (think about true Chinese calendar, reviving the Seagull ST7, worldtimes with cloisonné dials… opportunities are endless). Have a nice day, and thank you again for your message. 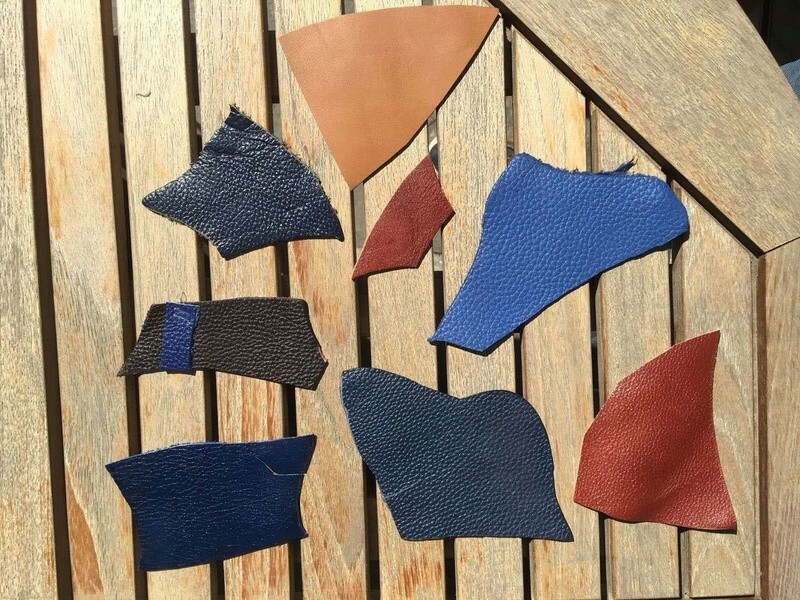 This was taken a few months ago, when we were still going through dozens of leather samples to find out the real gem. Oddly enough, I miss that time. That deep relief case back is far preferable to the display of a fairly basic movement. Good call. And very handsome watches overall. Do you also have a website? Most affiliates put a hyperlink in their signatures. Intriguing watches. +1 Transparent and being themselves is appealing in its own way. I honestly like the dial and caseback desig. Also 39mm is perfect just like Ming Watches. Welcome! Great business idea! Looking forward. One thing though. Can you reduce the underside thickness? Btw, I was talking about this today with Wilfried about our leather straps. Thus far, our watch comes with one, albeit a high quality one (vegetable-tanned, top-grain leather). It is of midnight blue colour, and we were thinking of, maybe, offering some further variations as a stretch goal. Which other colour(s) would you guys be attracted to? Thank you! !